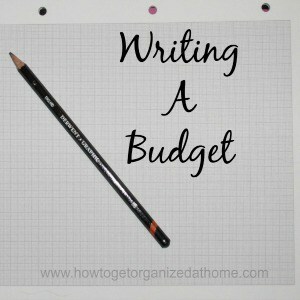 Have you ever wondered how to create a budget or how to write a family budget planner? Do you think it will make your life more complicated, or create more work? You might be surprised to realise that if you plan and write a budget it can reduce the stress that you can feel with your financial situation. Creating a budget should make your life easier, you will be aware of the money that you will need for each of the categories that you have created and it will mean that you will have the right amount of money to live of at the end of the month as you have at the beginning of the month. Creating a budget will put you back in-control of your finances rather than your finances being in control of you. To create a budget you need to know the amount of money that you have coming in each month and then you need to work out the money that you need to pay your bills. There are a number of different methods that you can use to create a budget and you need to find out a method that works for you. To start with you need to list all the bills that you pay each year, it is not just about putting money to pay this months bills, obviously this is important, but a true budget is working through those bills that you need to pay each year. This will mean that you are able to pay for these annual bills without resorting to borrowing money from other budgeting areas, or even taking out some form of credit. Once you have the basics written down you need to choose the method that you want to track your budget, there are a number of different ways that you can do this, it depends on what system is more suitable to your needs. There are many people that are turning towards technology to write and control their budgets, there are different computer programmes that can track your spending, they can even create reports on where your money is going each month, so you are then able to adjust your spending accordingly. Spread sheets are another popular method of creating a budget, you are able to list all your spending and it can be really easy to check how much money you need each month. All you need to do is add the amounts and if you have set the spread sheet up correctly it will work out the sums for you. This can save time and stress from adding up figures and taking away amounts from your budget when bills have been paid. It is possible to feel comfortable with paper based budgets, there are systems that are called envelope budgets, these you have a selection of envelops for your different spending and once the money is gone from that envelop you have no more money left for this category. The disadvantage of this budgeting system is the need to have the money in cash all at once. This can be an increased risk if your home was ever broken into and your money stolen, it is better to keep your money safe in your bank. 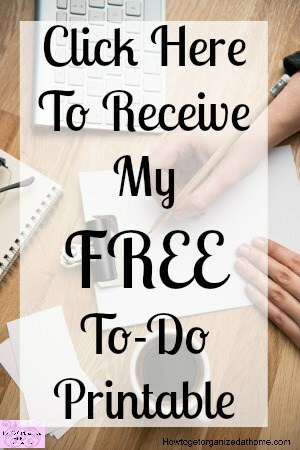 My preferred method is paper based, I like to write my budget down, I am a list person and for me it makes the most sense. I like to write down the categories that I need my money to pay and then I am able to keep track of these expenses. I have a breakdown of what my bills money I am saving for and the annual cost of these bills. For me this is the best system, it has evolved over many years and it is what I always what I have turned back to after trying many different versions over the years. It is going to take some commitment in the beginning to get your budget sorted but once you have the basics set up and you are familiar with writing and preparing your budget each month it will get quicker. The first time that you write a budget you need to make sure that you have at least an hour to plan your budget. You will need this time to write down all your bills, but also it is a good time to write down all of your debts, any loans or credit cards that you have outstanding balances on. If you note down the interest rates that you are paying and the amount that you are paying each month you are able to have a bigger picture of your actual financial situation. This is a great way to focus on your finances and once you have the basic information you are able to build your budget. When you have set up a routine you will find that following a budget becomes second nature, and your finances will become more organised. Which budgeting method do you use?